I just bought (for lack of a better term) a Laphroaig Cairdeas 200th Anniversary Edition (2015). I will open it....eventually. But it’s going to sit in the cabinet for awhile. 9 days ago 6Who liked this? @OdysseusUnbound Wherever did you find it? Have you tried it before? If not I will at some point open one of mine and sample you. @Nozinan I have not tried it, and I’d rather not disclose how I came across it. It isn’t exactly legal, it isn’t exactly illegal, but it certainly isn’t unethical either. The internet is a weird, wonderful place sometimes. Picked up my order from the SAQ today. It contained the third JD Barrel Proof I ordered, this one is for me the other two I ordered we're for Connosr members. 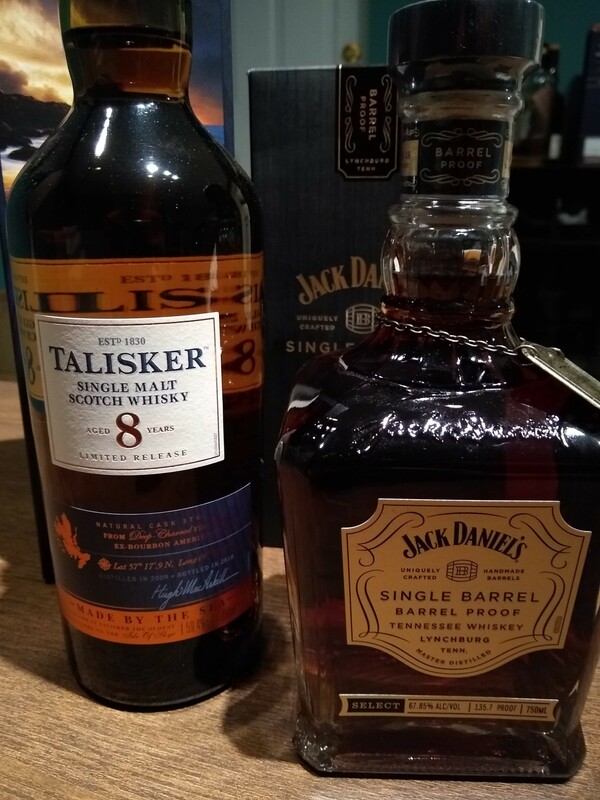 I also got a bottle of Talisker 8! I had given up on the idea of any of it becoming accessible here. That said the online sale of 70+bottles lasted all of 5 minutes it was a frenzy. 9 days ago 9Who liked this? @cricklewood Talisker 8 - Well done! @cricklewood - I'm drooling . . . nice catch! Just made the mistake of having a look on Cadenheads. They have about 20 whiskies I like the look of. Wasn't going to make a purchase but then I saw they were down to their last 3 bottles of this so pulled the trigger. Glen Moray has been on my list of distilleries to try for a while. What a great bottlers Cadenheads are. Where else can you get a 20 year old cask strength, NCF bottle of scotch for £75? 8 days ago 10Who liked this? 8 days ago 9Who liked this? I didn’t just buy these, but after tracking them down for awhile and being patient, I finally picked up these two beauties today. They will be opened and enjoyed..........eventually. 8 days ago 12Who liked this? @OdysseusUnbound I am surprised to see that you were willing to spring for 25 yo malt whisky. 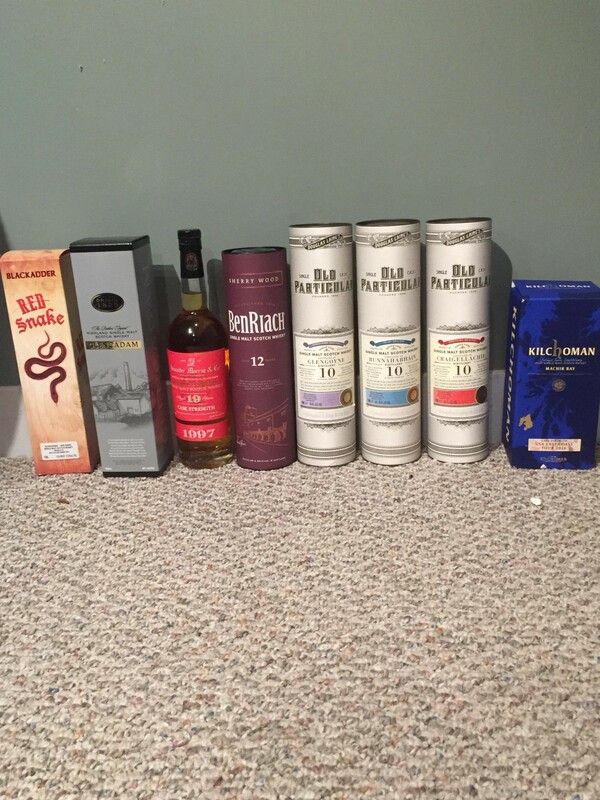 Have you expanded your whisky budget? 8 days ago 2Who liked this? 8 days ago 7Who liked this? Just to highlight how good the Cadenhead prices are. 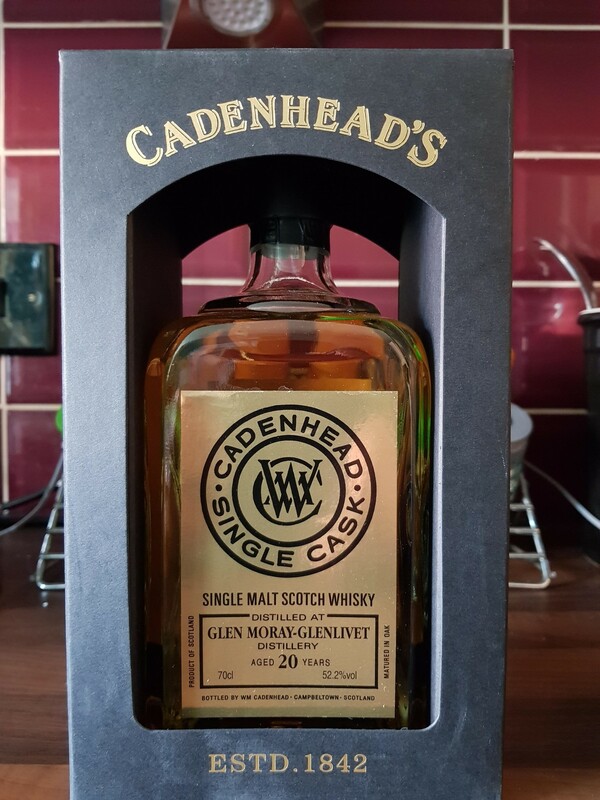 Master of Malt are selling a 10 year old Glen Moray for £10 more than Cadenheads are selling their 20 year old. 8 days ago 1Who liked this? @OdysseusUnbound two great acquisitions there. I'm jealous! @OdysseusUnbound a really good deal is always a pleasure. Unless you had to break too many laws, teach us the trick. @RikS I’m not sure I broke any laws, but I may have bent a few. Nothing other Connosrs haven’t done...and there’s more to come. Lady Luck seems to be favouring me these days. But being a bit “classically Greek” in my mindset, I’m a bit worried or cautious when too much seems to be going my way. Fortune is a fickle mistress. @Wierdo followed your advice on that one/ only one left now! - delivery is steep but what can you do ! Look forward to cracking it. Great purchases those, mate! I am infinitely jealous! 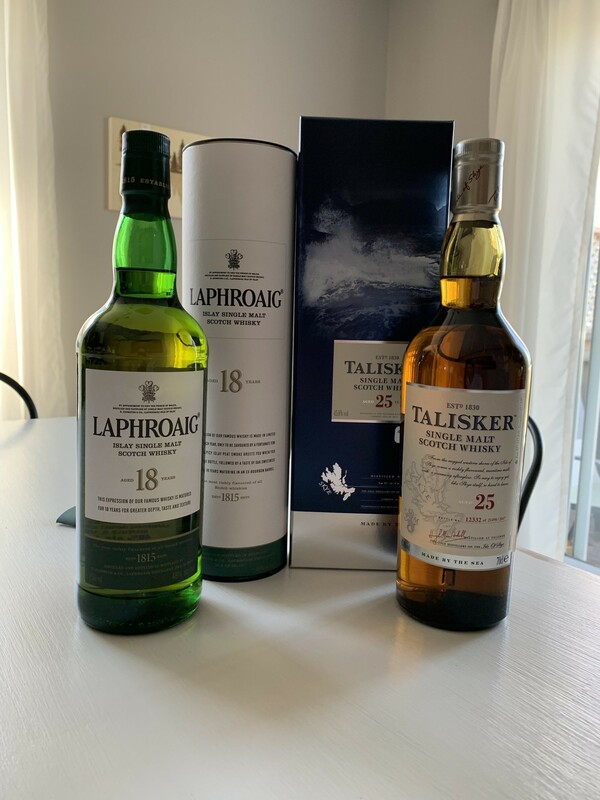 I got a couple of bottles when the 200 Anniversary special release arrived in Western Canada. I opened one and really enjoyed it. The price of this batch is less than the average price I paid in 2016. And I want to see if the qualities of the original are still present in the later releases. I hope to open this within the next 2 weeks. @jsilevinac is the Old Particular range any good? I think I tried an Imperial from them.once which was decent but nothing else. They have a few bottles I like the look of. @conorrob we'll have to compare notes! I see it's sold out now. Glad I got in there. That's the thing I've realised about indy bottlings. When they're gone they're gone. You'll more than likely only ever have one bottle of a whisky you love. And you'll miss out on a few you may later regret. Encourages you to appreciate the one you've got while it lasts. 7 days ago 5Who liked this? @Wierdo Occasionally you can get lucky. I got a bottle of G&M Mortlach (I think in 2014) and it had been released a couple of years before that. I wasn't that impressed but either the bottle developed or my palate did and 3 years later I really liked it. And my BIL was able to find another in Calgary for me. In fact, when I visited last December, one store still had several bottles. @Wierdo that last sentence of yours pretty much sums up life itself. @OdysseusUnbound That's a good one (the Cairdeas 2015). I bought two when they first came out. Still have one bunkered. Enjoy. @Victor very true and it has extra poignancy for you having said it. @Victor - as usual, well said!